« February 1st First Fridays Artswalk! 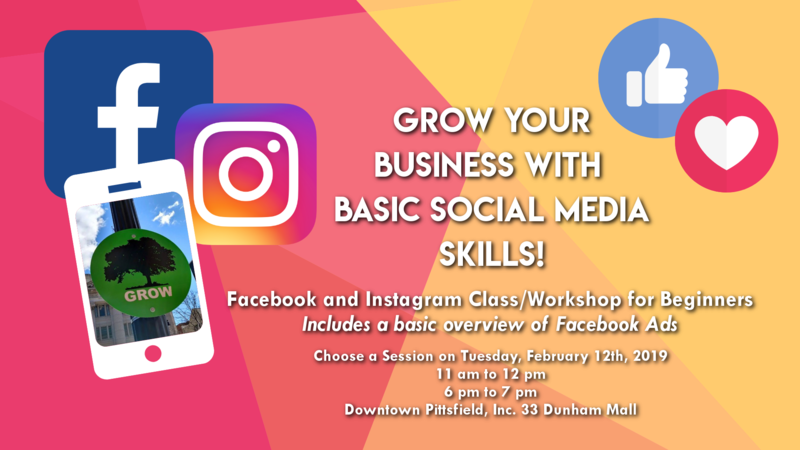 This basic Facebook and Instagram class is for members and member businesses of Downtown Pittsfield, Inc. and their employees. This beginner level class will be an introduction to using Facebook and Instagram for your business. Please bring your laptops and smart phones as there will be an opportunity to practice and work through social media issues. If you need help setting up a social media account, there will also be an opportunity to work with the instructor at the end of class. This class will be led by Downtown Pittsfield, Inc.’s marketing coordinator, Kimberly Gritman. Feel free to bring your lunch or dinner to either session. Coffee and water will be available.